So recently, I went on the conquest of finding some summer dresses that I could wear to work, you know, the sensible three-quarter length kind, that fit into the category of casual-smart and suitable to wear. And here I am wearing a gypsy-style maxi dress, with thigh split and paisley patterns. It really doesn't fit the memo huh? What can I say? I really did try. But when I was doing my usual browse of ASOS and saw this beautiful semi-sheer chiffon maxi dress from Pull and Bear.. in the sale, reduced by about £16; I knew I had to have. Granted, maybe its not ideal for my work wardrobe, but a fabulous find for the summer sun. Its features a cami-slip underlay, which I actually failed to find first time round, so it covers up any bits you don't want seen; always a concern for me when buying sheer chiffon. It has buttons all down the front which stop towards the thigh and form a front split, which I think is a great look. The blouson sleeves compliment the look along with my oversized fedora to create the ultimate bohemian style. 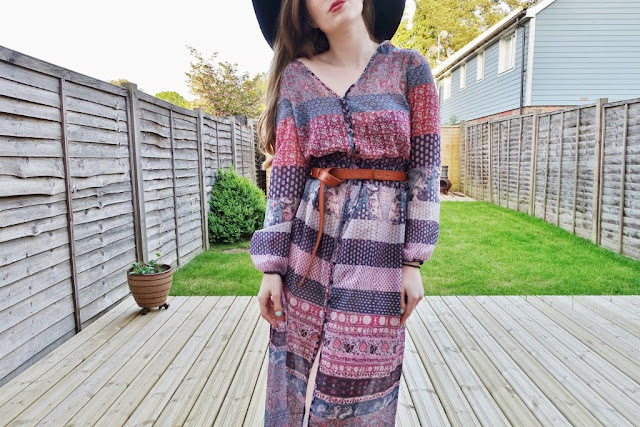 My best boho find yet! If your interested, here's another one of my bohemian looks for the summer. But hurry if you want to buy this beauty, you better be quick, whats left is low in stock! This is so beautiful. And for only £16?! Lucky! you look gorgeous, and oh my that dress is stunning. 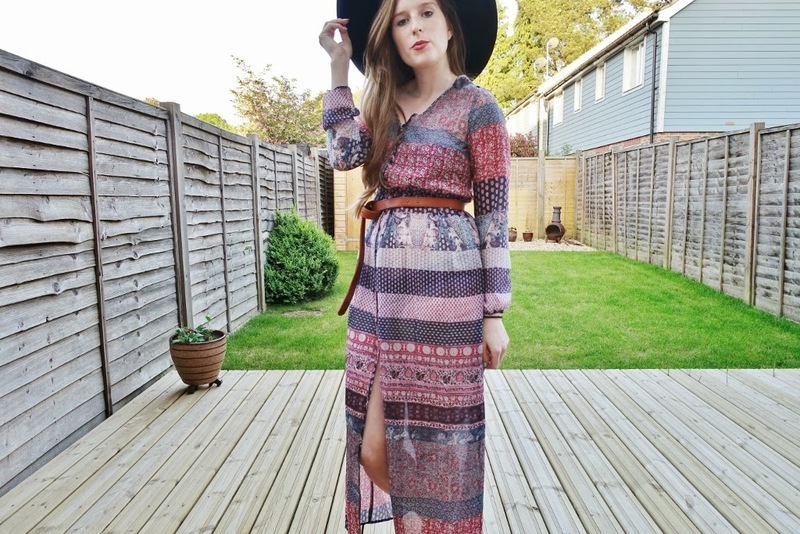 The maxi dress is very unique and gorgeous with the thigh split and paisley pattern.